Leidos Australia has been selected to deliver the Department of Defence Joint Project 2096 Phase 1, a multi-phased and "evolutionary" program to enable and support military and intelligence force elements and organisations in their operations. The Joint Project 2096 Phase 1 aims to speed up the search and collation of intelligence data, as explained in May 2018 by air vice marshal Warren McDonald. "Well in the future, and not too distant future, we will be required to work through very large amounts of data to formulate decisions that must be made quickly in a conflict," McDonald said at the time. "It was always thus, but with artificial intelligence on the horizon, a capability that has the promise of delivering the right decision more quickly than a human, we had best be ready for it." Now, Defence announced it has approved $500 million for the acquisition and sustainment of the first tranche of Joint Project 2096, which is set to ensure the integration of selected intelligence, surveillance and reconnaissance (ISR) data and applications. The contract was awarded to Leidos in December and runs until June 2021. The initial part of the project will see the ISR data and applications integrated to provide an ISR search and discovery capability, deliver an ISR development and support centre and sustain the ISR integration capability throughout its life. The project provides Australian industry with opportunities in development and integration services, data analytics, ICT support, the provision of supporting infrastructure and addition of 65 new jobs for the ISR Development and Support Centre, according to Minister for Defence Industry Steven Ciobo. “Leidos has a proven track record of delivering integrated data solutions, and will ensure around $450 million is spent in Australia,” Ciobo said. 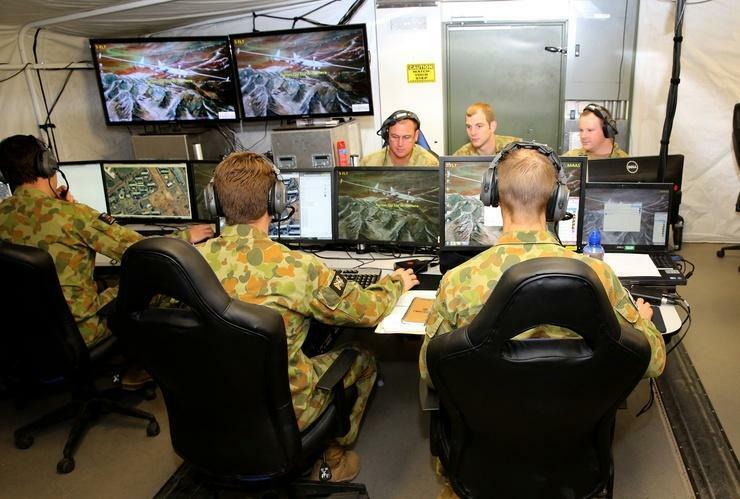 Minister for Defence Christopher Pyne said the project will allow intelligence analysts to rapidly search and discover collected data to improve intelligence and decision support to Australian Defence Force (ADF) and whole of Government decision makers. “The project will help deliver on the Government’s commitment to improve the situational awareness, mission planning and war-fighting capabilities of the ADF as outlined in the 2016 Defence White Paper,” Pyne added. In August 2015, Defence initiated a request for proposal (RfP) in order to find a system integrator and solution services (including hardware and software) to deliver Joint Project (JP) 2096 Phase 1. According to the RfP, the project was set to provide functionality to the Defence Secret Network (DSN) to create a unified, integrated mission dataset that enables users to discover, access, analyse, manipulate and publish ISR information and intelligence in a timely manner, regardless of location, organisation, activity or information source. This functionality would be delivered by providing the infrastructure on the DSN and deployed DSN to store, manage and process large volumes of ISR information and intelligence. The industry briefing was announced to include information classified up to and including secret releasable to Australia, Canada, New Zealand, United Kingdom and United States (‘Five-Eyes’). Subsequent to this RfP, a Request for Tenders (fFT) was released on AusTender in February 2017 to the tenderers shortlisted from the RfP.